There really is nothing called the Shunryu Suzuki Heritage Project except I used that name here because briefly some peole at the SFZC said they wanted to use Shunryu Suzuki Legacy Project name but soon both were forgotten. 4-30-11 - I made a link to this page today but this part of cuke.com is mainly history of what's been done with Suzuki archiving and trying to get funding to do it. I still work on preserving the legacy of Shunryu Suzuki, collecting and organizing and presenting people's memories of him and still work with the lectures, but I haven't done any fundraising or written any proposals on it for a while because it takes up so much energy and I live very cheaply and get by and as long as the work continues I'm satisfied. Still, you can read what's here and follow the links and see all the work that's been done and all the good people who have supported it. Aside from the people who are always supporting me and who I take for granted like John Tarrant, Michael Katz, and Katrinka McKay, this year I've received two checks that I'm grateful for, one from Robert Barner and the other from Keith Cowan. I'm living on very little now in Tamil Nadu so their contributions really help. Thanks to them and to all of you who've been so generous in the past who I never name here and wonder if I should. Like Lew Richmond who raised a good deal of money to support this work in 2008 and who along with Steve Stucky, Ed Sattizahn, and Michael Wenger helped to get the SFZC to fund this work in 2008 for six months and that resulted, among other accomplishments, in the digitalizing of the Shunryu Suzuki archive - lectures and video and photos. See shunryusuzuki.com. That whole period was difficult but was a great boost and since then this work seems to have progressed well without much effort. I don't know where the next dollar is coming from but it's gotten this far without paying much attention to that. I should get all this info on what's been done and who's helped and what is planned all organized and presented better but now I want to keep working on the oral and written history that is daily being posted on cuke.com. 11-01-09 - Gathering past letters of support or at least links to them onto one page because I just sent a proposal you may hear about later which had a link on the bottom to this page so now I'd better create it. 6-29-09 - We've ceded the name Shunryu Suzuki Legacy Project to the SFZC for fundraising they may do for this work. Since January 2009 we've received no funding from the SFZC. We're also over $11,000 behind in paying for the expenses of digitalizing the audio and other work and about the same amount behind in paying DC's stipend. The work continues even though the funding lags. The SFZC is short on funds now so we don't want to bug them. More details on this to come. 5-21-09 - This weekend there's a celebration of this 50 year anniversary of Suzuki Roshi's coming to America. Here's your invitation. Here's the schedule. 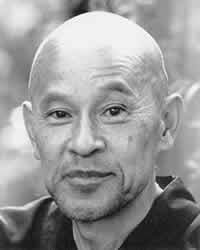 5-20-09 - The SFZC has a new website, Suzuki Roshi, and here's the dharma talks link dedicated to presenting the lectures of Shunryu Suzuki. The staff of cuke.com congratulates Timothy O'Conner Fraser and Charlie Pokorny for the great look of this site and wish them well. The site looks great. Well presented. Great photos. We also salute the hard-working staff of the SSLP for the archiving of the past year which we are pleased to see bearing fruit in both the SFZC site and that of the SSLP, listed yesterday. These two sites will share material but develop independently, serving different functions. 5-19-09 - See what the cuke.com staff has been up to and check out Shunryu Suzuki dot com now. It's not hard to get in. Just got to make a little effort. Once you're there you may be surprised. All Suzuki all the time. More to come. 5-18-09 - Fifty years ago today, Shunryu Suzuki arrived in America. 4-24-09 - Go to shunryusuzuki.com and get back to me if you're interested. 1-12-09 - SSLP quick update for you and cause I needed folks from Facebook to have something quick to read. Proposal to Establish the Shunryu Suzuki Legacy Project - the proposal created from the one below that was submitted to the SFZC board and approved on 6-25-08. 9 bows to those who worked for so long to make this happen. Report on the Shunryu Suzuki Media Archive with a Focus on Lectures - 25 pages or so with a two page abbreviated contents and priorities. Shunryu Suzuki Oral and Written History Project - a quickly written addenda to the 25 page report. to cuke.com and the Shunryu Suzuki Legacy Project with PayPal. Or, to mail a tax deductible donation. Go to shunryusuzuki.com and get back to me if you're interested. Shunryu Suzuki Dharma Talks are licensed by the SFZC under a Creative Commons Attribution-Noncommercial-Share Alike 3.0 United States License.